It turns out that it makes an excellent knitting cast on, like a fancy braid at the bottom. Speaking of which, it would also make gorgeous braid for decorating sewing. Work it up in thin shiny silk and I expect it would look really fancy. 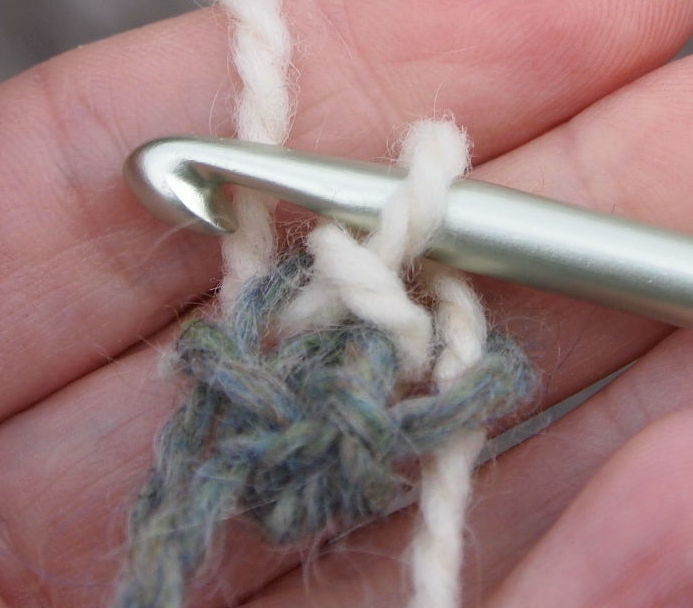 Pick up the back loops of the chain across the top and the live stitch at the end. That’s your “right side” row. Purl back, twisting each stitch, and off you go! I had kind of thought of the foundation base chain as making a chain along the bottom at the same time as making regular stitches, but I’m not sure that’s the case. It’s a thing all its own. If I try making it with two colors, and I do one color along the bottom and the other color for the “regular stitches”, then it’s really just a regular base chain with regular stitches. That’s kind of uninteresting. 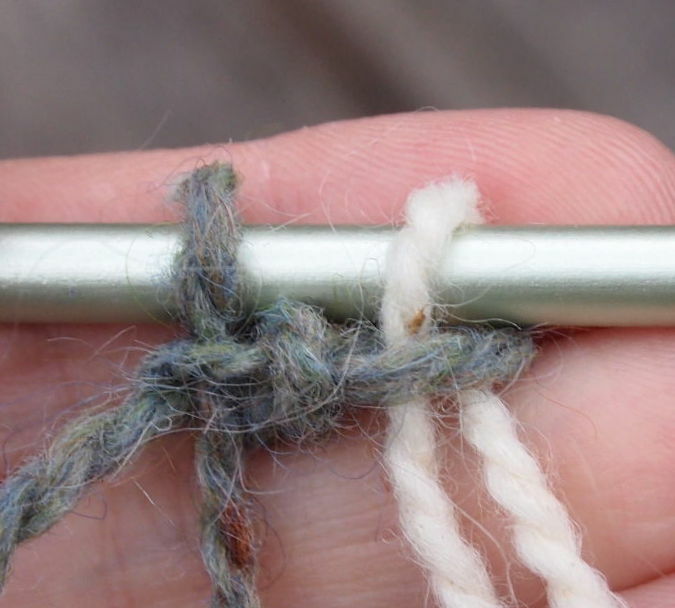 I started out with the trick used in this post for avoiding slip knots. I had the loose slip knot in blue. I pulled one loop of white through the chain, and then picked up the fake “chain” at the bottom. 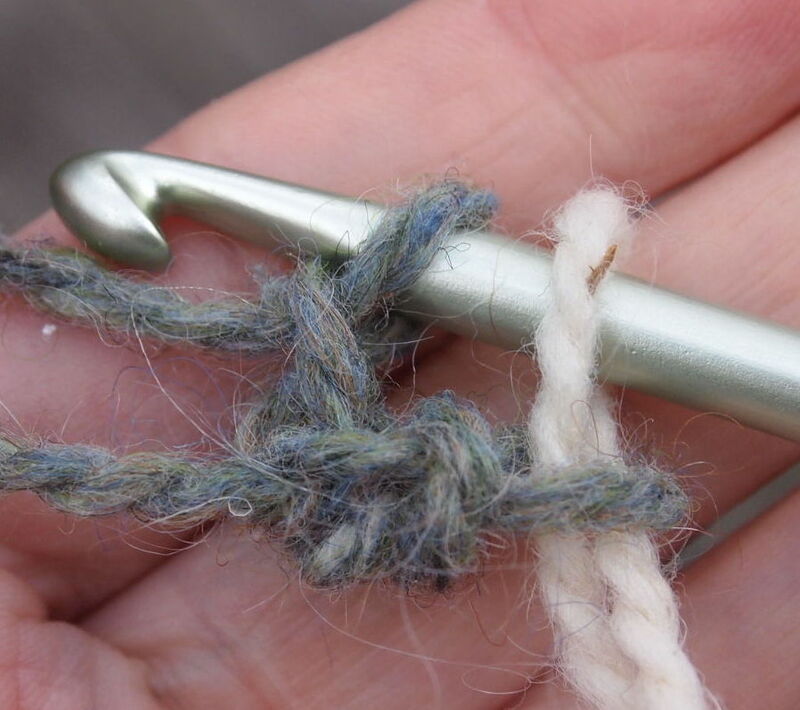 Yarn over with white and pull through all loops on the hook. It’s actually nicely stretchy, and you can work it directly onto a knitting needle or afghan hook without the chain across the top! Directions coming next week, because I think they deserve a post to themselves.